SM Blooding – A Villainous Nix of a Good Time! 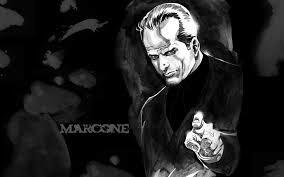 The Crafty Cauldron’s pick for their favorite villain is Johnny Marcone from the Dresden Files. He’s a mob boss that could scare even Tony Soprano but has a soft spot for kids…..
Novels for Noel Book Event! I love the green one bc its almost my fave color-teal. Thanks for hopping! I would choose the blue one! I think the blue would be real eye catching so I’d always be able to find it. I used to have black ones and lent one to my mother and she thought someone had taken the ereader because the black blended in so well she couldn’t see it. Right now I have a bright yellow one for my paperwhite and a red one for my tablet. Green or purple. I’d go for blue, but it’s so *bright*. I like the muted green and dark purple better Green would be top pick. I liked all the color except black (for me). Probably blue is my favorite. Thanks for the giveaway and happy Valentines day! My new (first) paperwhite arrives early next week! I would like the purple one!!! I’d choose black because it’s for my husband’s Kindle.